RXBAR Whole Food Protein Bar - No BS! RXBAR Whole Food Protein Bar - No BS! One box. Twelve bars. Six flavors. Your next favorite. Can’t decide? We’ve hand-picked a box filled with 12 of our favorite bars, so you can find yours. 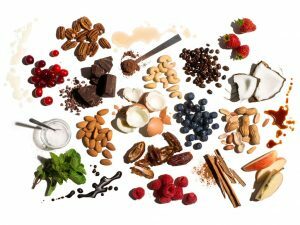 Grab and go variety, real food nutrition, made with pure protein from egg whites and nuts, and never more than 9 ingredients. Anytime, anywhere, any flavor: Our 12 bar sample pack. 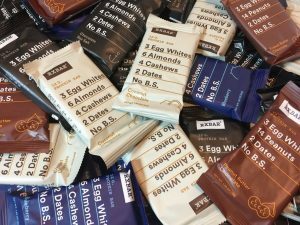 I was rather impressed with the RXBAR… So much so that I reached out to RXBAR for some samples that I could share with you here on LTS. 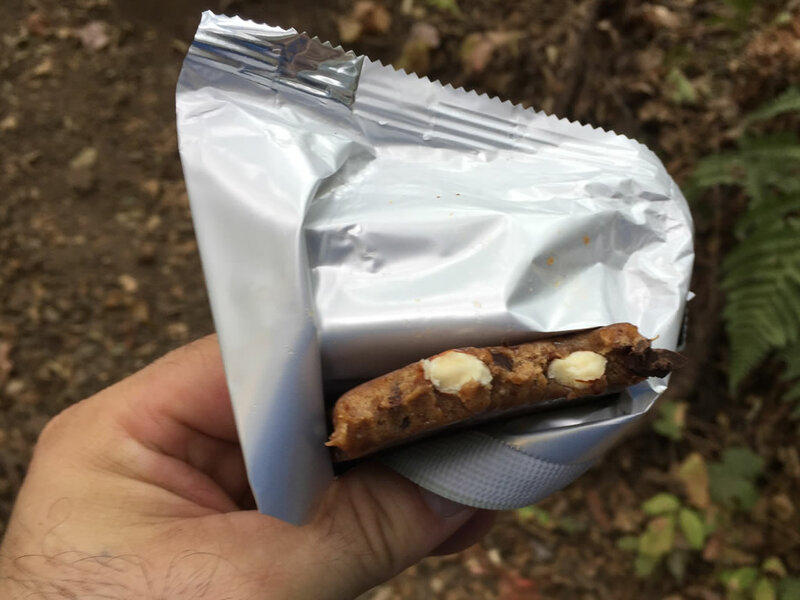 Unlike survival rations that are void of any moisture whatsoever, and lack any nutritional value other than a source of calories, energy bars typically offer a better-tasting and more nutritious experience. Though, there are still some that are beyond dry like a barren desert. Granola bars typically fall into that category. I definitely prefer the softer, chewy variety that does not require a water chaser just to consume them. RXBAR has been around since 2013 when two best friends developed the RXBAR in their kitchen and sold them door to door. Now they have a wide variety of flavors, many of which are Whole30 compliant. When asked how they describe their bars, they say “It’s like eating 3 egg whites, 2 dates, and 6 almonds. With no B.S.”, so they even put it on the package. I think that pretty much says it all… They are soft, chewy, nutty, and packed full of natural flavors. Blueberry: Like all of the RXBARs, the Blueberry Bars are made from a unique mixture of dates, egg whites, and almonds, in addition to a blend of cashews, blueberries, and natural blueberry flavor. I really enjoyed the brightness of this flavor… It has just the right amount of sweet berry flavor to offset the richness of the dates. The mixture of nuts and dates provides the perfect texture. Blueberry can be found in most of their variety packs and separately on Amazon. Chocolate Sea Salt: The Chocolate Sea Salt Bar is currently their best seller… It has the perfect balance of sweet and salty which is why of the four flavors that I’ve tried, this is definitely one of my top two favorites. Along with the dates, egg whites and almonds that make up the base ingredients for nearly all of the RXBARs, this bar also contains a healthy amount of cashews, cacao, cocoa, sea salt and natural chocolate flavor. The Chocolate Sea Salt Bar can also found in most of their variety packs, and of course separately on Amazon. Coconut Chocolate: This is the original whole food protein bar… The one that started it all. It has a rich chocolaty flavor, with a hint of coconut and sea salt to smooth it all out. I’m really not even a fan of coconut, but oddly I find the Coconut Chocolate Bar is my favorite of the bunch. Like all the other flavors, this bar is filled with an abundance of dates, egg whites, and almonds, and just the right amount of cashews, cacao, coconut, sea salt and natural coconut flavor. It is also found in most of their variety packs, and separately on Amazon. Peanut Butter Chocolate: I can see why this flavor would be popular, but it is by far my least favorite of the four. And I am a huge fan of peanut butter… I just didn’t feel there was near enough peanut butter in the mixture to offset the richness of the chocolate and dates. I actually purchased this flavor myself when I saw them so I could try them out as part of this review. This flavor is also found in most of their variety packs, and separately on Amazon. RXBAR has many other flavors available including Apple Cinnamon, Chocolate Chip, Coffee Chocolate, Maple Sea Salt, Mint Chocolate, Mixed Berry, Peanut Butter and Pumpkin Spice. I have not tried any of the rest yet, but I certainly plan too. Especially the Apple Cinnamon and Peanut Butter if I can ever get my hands on them. They sell a few different variety packs including the Best Seller Variety Pack (Pack of 30), an 8-Flavor Variety Pack (Pack of 16) and a 5-Flavor Variety Pack (Pack of 10). 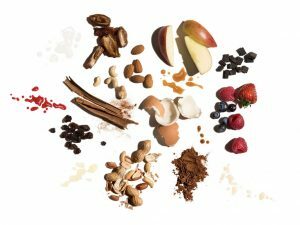 They also sell a Whole30 compliant variety pack which includes five Apple Cinnamon, Blueberry, Chocolate Sea Salt, Coconut Chocolate and Coffee Chocolate for a total of 30 bars. And of course, you can always find any of their flavors individually in boxes of 12 from Amazon here. RXBAR has a new line of bars called RXBAR Kids that contain all of the same core ingredients as the rest of the RXBARs, but with kid-friendly flavors and portions. The current flavors include Chocolate Chip, Berry Blast, and Apple Cinnamon Raisin, each providing 7g protein and 3g fiber, with absolutely no sugar added. RXBARs are made entirely from a handful of high-quality ingredients that are good for you. 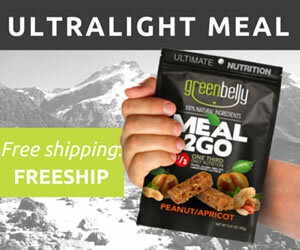 A convenient and healthy fuel source, on or off the trail. No gluten, soy, dairy, GMOs or added sugar to contend with. They are full-flavored and an extremely satisfying natural source of sugar, dietary fiber, and a perfect balance of fat, protein, and carbohydrates for slow-burning, sustained energy, rather than a quick boost of energy and sudden crash shortly thereafter. While I certainly have my favorites… I really did enjoy all of the flavors that I’ve tried so far. However, I am sure there are those who would not care for them. I think you’d need to love rich nutty nougat to really appreciate the flavor and texture of these bars. I like to eat them as a quick breakfast when I need to run out the door, and as fuel to replenish my body when I’m working hard or out on a trail. 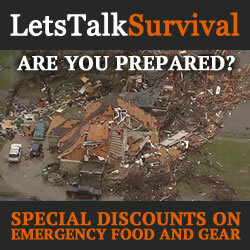 They have a shelf-life of about a year or so, making them a great addition to an EDC or bug-out bag. Just remember to rotate them regularly. You can always find the all of the RXBARs mentioned in this review and many other flavors on Amazon. In 2013, we called B.S. on protein bars. Best Friends. Broke. CrossFit. Bootstrapped. We refrained from outsourcing the tough stuff and started a business the only way we knew how: the old school, gritty way. Door to door and bar by bar.